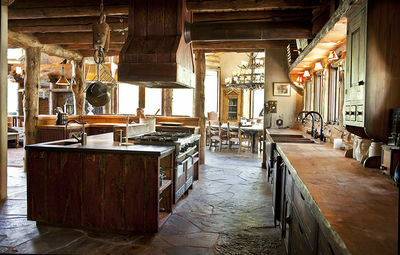 Castlewood is Telluride's most spectacular private rental estate. 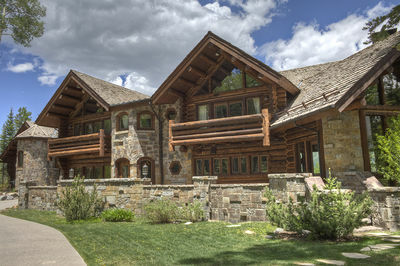 The residence features three structures knitted together, the Main House, the Carriage House, and the Hot Springs Grotto. 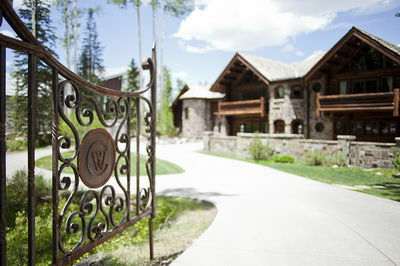 Castlewood is a ski in/ski out residence (Double Cabins ski run), and your experience here will be 5 star in every way. 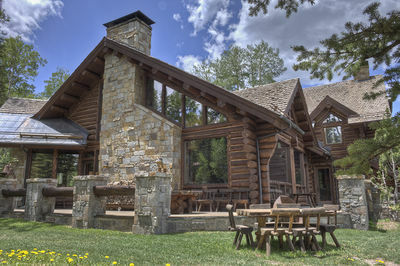 This is the ultimate in a Colorado Vacation Ski Home! 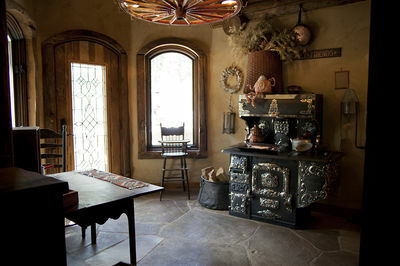 The Main House entrance opens to a wide and inviting entry room. The main living area of Castlewood features a huge wood burning fireplace, surrounded by opulent furnishings and comfy rugs. 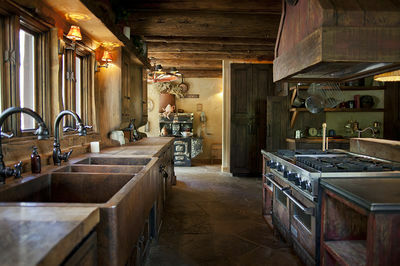 The gourmet kitchen flows to the living and dining rooms so access to the chef of the group (or a private chef if you prefer) is easy and fun. 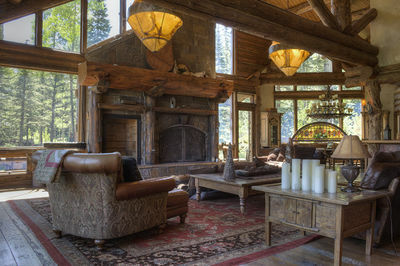 Enjoy a glass of wine while helping out and still maintaining a connection to the group lounging in front of the huge wood fireplace. 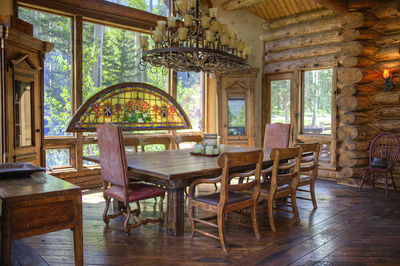 This level also includes a second dining area separate from the great room, as well as a billiards game room. 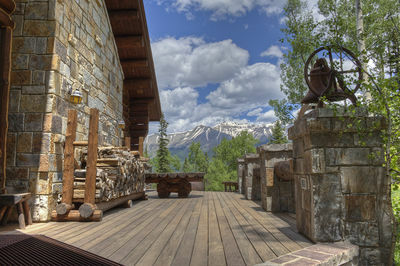 The outdoor area is welcoming with beautiful views where ever you look! 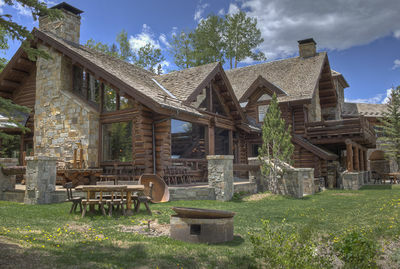 On the lower level of Main House is a stone wine cellar, a stadium tiered movie theater, a separate sleeping area with a queen and a full bathroom. The Main House elevator starts on this level for easy access back to the main floor or the bedroom floor above the Great Room. On the upper level of the main residence are 4 guest bedrooms. The master suite has it's own private living area with another log burning fireplace, a loft with a king sized bed and a private bathroom with a steam shower & free standing tub. The master suite opens out on to a deck with a hot tub. The 2nd guest suite has a queen sized bed, the 3rd guest suite has a full size bed, and the 4th suite on this level has two twins that can convert to a king. In this room there is a loft with king mattress in the loft. All guest suites have their own private bathroom. 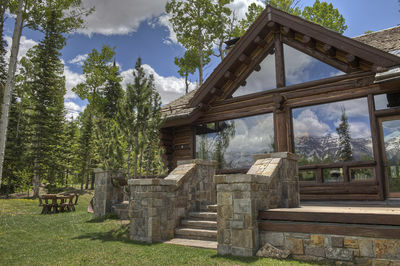 Connected to the main structure, is the 'Hot Springs Grotto ' – a self contained guest quarters with it's own kitchen, and an impressive man made grotto with waterfalls, misters, and jetted pools. 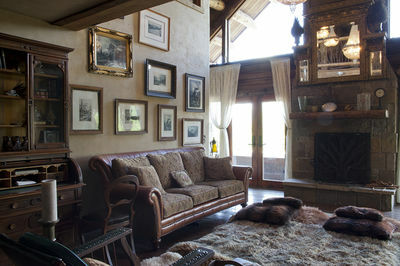 On the lower level of the Hot Springs House there are 2 king sized guest suites, each with their own private bathroom. On the upper level there is a bedroom with 2 full beds. There is a grill on the deck of the guest house. The third structure is the Carriage House. Located above the 2 car garage, the Carriage House has a bedroom with a queen sized bed and private bathroom. There is also a communal living area with a kitchenette, private deck, and two queen sized beds in the living area that can be couches, or additional sleeping space. 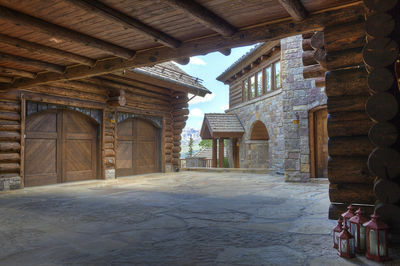 There are 2 indoor garage spaces and plenty of driveway space for additional vehicles. All in all, your experience here will be a memorable one. 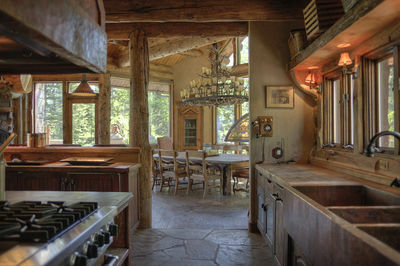 Bring your friends and family and experience Telluride in an all new way!